CLOSEOUTS. 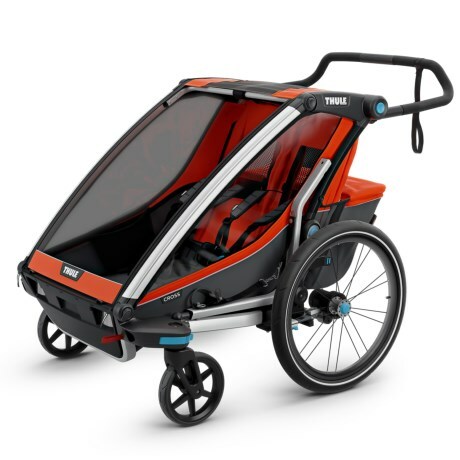 Your young adventurer will love tagging along in the versatile, durable and comfortable Thule Chariot Cross 2 bike trailer, made for all kinds of activities. Available Colors: BLUE, ORANGE.